Guillermo del Toro is back with another scare-fest called Crimson Peak. The film stars Tom Hiddleston, Charlie Hunnam, Mia Wasikowska and Jessica Chastain. Aside from what you see in the trailer, there is not a detailed plot synopsis yet. We know that Wasikowska plays an author who is enchanted by Hiddleston and then the creepiness ensues. Not much to go off by, but just watching the trailer gives me the heebie jeebies. Watch it above and catch the film when it is released on October 16, 2015. James Franco continues to crank out the films and we’re not complaining. The cancellation of The Interview is not stopping him anytime soon. The trailer for True Story, based off of the memoir by Michael Finkel, featuring Jonah Hill and Franco was released today and it looks insanely good. Most people recognize Hill and Franco from their comedic films, but both of them have starred in some noteworthy dramas and this looks like one to watch out for! True Story will premiere at Sundance Film Festival next month and have a limited release beginning on April 10, 2015. 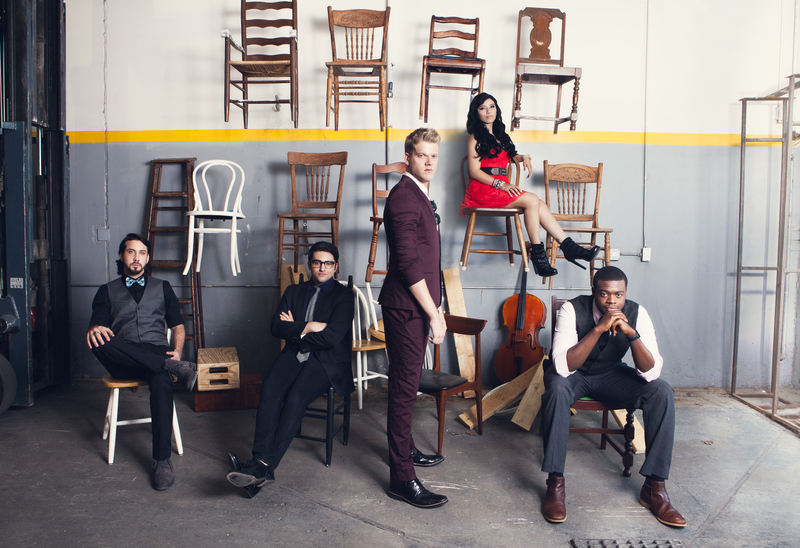 Two of my favorites are joining forces: Pitch Perfect and Pentatonix. It was revealed to EW that vocal group, Pentatonix would be joining the cast of the upcoming Pitch Perfect 2 movie. Rejoice, aca-nerds! The group is set to play a rival group to the Barden Bellas and have already filmed their part. This sequel is going to be aca-awesome. Too bad we will all have to wait until 2015 to see it. Being a major James Franco fan, I always try to keep up with his new releases. The latest, Good People also stars Kate Hudson. Naturally I thought this was going to be a rom-com knowing Hudson’s M.O. Surprisingly though, it is more of a suspense thriller. Franco and Hudson play a couple who are in debt, but things start looking up when a tenant in their complex is murdered and they discover some major cash in his apartment. However, everything turns for the worse when they find themselves the target of someone who is trying to recover the stolen money. Doesn’t sound too original, but I have hope that Franco and Hudson can make it entertaining. Check it out for yourself above!